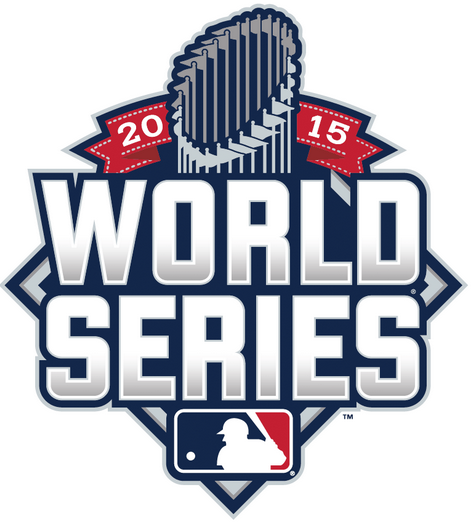 By now you are aware that for the first time since 2000, the Mets are going to the World Series. The Amazin’s journey to this point has been incredible but the final step to get this club down the Canyon of Heroes depends on the next two weeks. This Kansas City Royals team is on a mission after a difficult loss in Game 7 to the San Francisco Giants during the 2014 World Series. The Royals biggest strength is their bullpen led by Wade Davis and Kelvin Herrera. Obviously it is imperative that the Mets get leads before KC can go with those two dynamic pitchers. KC will be the toughest test this Met team has seen all year but the Royals can be defeated if the Mets can do the following things. Escobar had a difficult regular season offensively (.293 OBP) but has been the Royals spark plug in the playoffs. Escobar who doesn’t hit for much power and almost refuses to walk has been extraordinary in October. Escobar went 11 for 23 (.478 AVG) with three extra base hits in the six ALCS games vs the Blue Jays. While Escobar doesn’t get on base at a high clip normally, the Royals really seem to play much better when he hits leadoff. Escobar led off in 131 games for KC in the regular season and batted first in all 6 games of the ALCS. When Escobar is on base the Royals can do a lot of things with good contact hitters like Ben Zobrist, Lorenzo Cain and Eric Hosmer behind him. Keeping the top of this Royals order off base is going to be a very difficult task. As most saw in the 2014 playoffs, the Royals have the ability to alter a game with their speed. Lorenzo Cain and company showed in Game 6 of the ALCS that base running is still a major weapon in their offensive attack. While Travis d’Arnaud’s throwing has improved in 2015, base runners still stole at a 74.4% clip in the regular season with the young backstop behind the plate, which ranked 24th in the league among catchers who played in 60 or more regular season games. Met pitchers changing their timing to the plate and even just holding the ball longer on the mound can go a long way in helping d’Arnaud throw out runners this series. The Royals all season have feasted off fastballs. The Royals also were the best in the big leagues in batting average against 94+mph fastballs. The Mets big three right-handed starters have some of the best fastballs in the majors. The Royals right-handed bats hit .350 with 13 homers against right-handed fastballs but just .187 against breaking balls. The Royals lefty swingers also performed well against RH fastballs. (.340 AVG, 15 HR vs FB, .169 AVG, 5 HR vs breaking balls) In game 6 of the ALCS Kansas City was hitting David Price’s fastball hard to start the game. The Blue Jays ace starting mixing in his breaking pitches which helped keep hitters off his fastball. Price really got into a rhythm by using his breaking pitches which helped his great fastball play up later on in the game. When throwing fastballs in key situations against the Royals the best place to attack is up and out of the strike zone. KC hit just .239 against fastballs up and above the zone during the 2015 regular season. (.358 AVG down in the zone) The Mets will hopefully be prepared for this when they head to KC for Game 1 on Tuesday. The Royals are going to be extremely difficult to beat but the Mets have come back from so much this season. If the Mets follow these keys they have a great chance at being World Champions. In case you haven’t heard by now, Daniel Murphy is having one of the greatest, if not the all-time best postseason a Met has ever had. Murphy is batting .364 with six home runs and 9 RBI in just 8 postseason games. He has struck fear in several Cy Young candidates. The Mets new slugger has homered in 5 straight games, matching a postseason record set by Carlos Beltran back in 2004 with the Astros. Many consider Beltran’s run with Houston the greatest contract push in the history of baseball. It was a tear that helped Beltran get a seven year $119 million contract with the Mets 10 years ago. 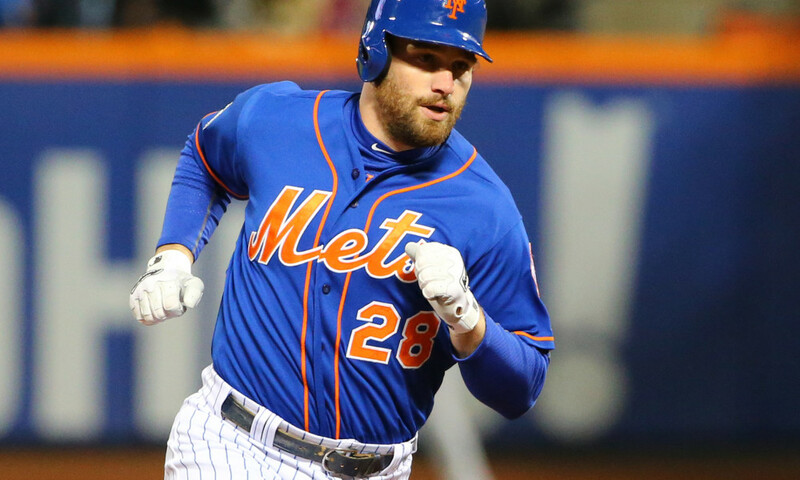 Coincidentally Murphy is a free agent this winter and as we at BrokeMets have been reporting for months, Murphy is highly unlikely to be back with the Mets next season. They have discussed Murphy in trades the past few seasons (including this year) and believe a combination of Wilmer Flores and Dilson Herrera can be nearly as productive in 2016. The Mets weren’t thrilled about paying Murphy $8 million this season so giving him a raise along with a 4 or even 5-year contract is highly unlikely. Heading into the Postseason Murphy’s camp was likely looking for a contract near what Chase Headley got from the Yankees last winter (4-years $52 million) where they would ultimately settle for a Martin Prado type contract. (4-years $40 million) Now after one of the greatest power streaks over the last decade of postseason baseball, Murphy is likely to command Chase Headley money which probably thrills the Mets front office. The Mets are probably ecstatic that Murphy continues drive up his price. First off and most importantly, Murphy is leading the Mets to their 1st World Series berth since 2000. Secondly now the Mets can offer Murphy the $15.8M qualifying offer without a guarantee that he would accept it. If Murphy declines the Mets get a top draft pick should he sign elsewhere. If he accepts the deal (unlikely) then the Mets could trade their postseason hero who will be on another one -year deal. He would still have a market on a $15.8M one-year contract. Jon Heyman reported today that the Mets are now looking to offer Murphy the QO. Lastly now the front office can reasonably justify to the fan base that they tried to keep Murphy by extending him the Qualifying Offer and that their resources are better used elsewhere than matching the large contract he could receive. The Mets will be playing in a win or go home postseason game for the first time since 2006 when they take on the Dodgers in LA, Thursday night. Join former WSJU Radio personality and current BrokeMets producer Rob DeLucia and myself as we break down Game 5 of the NLDS. We discuss how great Zack Greinke has been at home, what an amazing season this has been for Jacob deGrom, the Met hitter who needs to step up the most in Game 5 and what lies ahead in the NLCS for either the Dodgers or Mets. Check it out and leave a comment below if you want your question answered in the next show. The wait is nearly over. After nine very long years, the Mets will be playing their first postseason game tonight in Los Angeles. Terry Collins and company will hand the ball off to their 1A ace, Jacob deGrom, who was simply spectacular this season and will finish in the top 5 in NL CY Young voting. Despite his accomplishments this season, deGrom and the Mets will still be underdogs in Game 1 facing Clayton Kershaw who has simply been dominant this season. The reigning NL MVP is 7-1, with a 1.37 ERA over his last 11 starts. He is also baseball’s first 300 strikeout pitcher in over a decade. Unfortunately for the Mets, they will likely see Kershaw twice in this best of five series. That being said the Dodgers and Kershaw can be beaten. Here are the Mets keys to the series. It goes without saying but the Dodgers are obviously a much weaker team when Clayton Kershaw or Zack Greinke aren’t on the mound. The Mets may not be able to do much damage against the Dodgers two aces but if they can get them out of the game after six innings somehow, they should be in decent shape. The Dodgers bullpen is 7-10 with a 4.24 ERA since July 25th. Hardly the same production that Kershaw and Greinke bring. Kenley Jansen is the only reliever that Dodger fans can trust so if the Mets can force Don Mattingly to go to his other relievers then New York should have the advantage. Curtis Granderson at the top of the order will be the biggest key for Game 1. Granderson who badly struggles against lefties and is just 1 for 10 against Kershaw needs to draw out long at bats. The quicker the Mets can get into the Dodgers bullpen, the better chance they have to win. Plus getting into the Dodgers bullpen allows Terry Collins to utilize lefty bat Michael Conforto more, who is likely just a pinch hitter vs three of the four Dodgers starters in this series. Adrian Gonzalez is the Dodgers best bat but like most of the Dodger hitters not named Corey Seager, he has struggled to date, batting just .176 with zero extra base hits over his last 11 games. 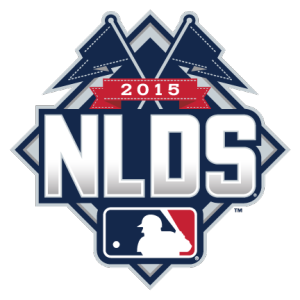 If the Mets can keep Gonzalez in check, they should have a very good chance at moving on to the NLCS. Gonzalez is very good at sitting on one particular pitch and waiting for the pitcher to throw it. He can get in trouble when he waits for a pitch that doesn’t come and gets behind in the count. Gonzalez is hitting just .127 with 4 home runs when behind in the count 0-2 this season. Getting head of Gonzalez will be key for the Mets all week. If the Mets can somehow take one of these two games in LA vs Kershaw and Greinke they will be sitting pretty with Matt Harvey on the mound in Game 3 with something to prove. The crowd will be in it and the Mets will be facing Brett Anderson, a solid pitcher but a major downgrade to what LA used in Games 1 & 2. Expect these to be low scoring games where the Mets great young starting pitching will be asked to match two of the greatest pitchers in the world. They certainly have the talent to do it. It brings together the most important question of the series, are the Mets young pitchers running out of gas? Or will they outpitch the Dodgers and become household names across the nation. We find out tonight.